Premium badges and superminis often don’t go together. Little cars designed for the city often fall at the bottom end of the new car price spectrum, and this is because it makes them easier to repair and maintain in an urban environment. However, Audi thinks otherwise. When the first generation A1 arrived back in 2010, it proved that you could make a desirable compact city car with a premium badge – and strong sales supported this. Now, there’s an all-new version, which Audi hopes will be just as successful as the car it replaces. 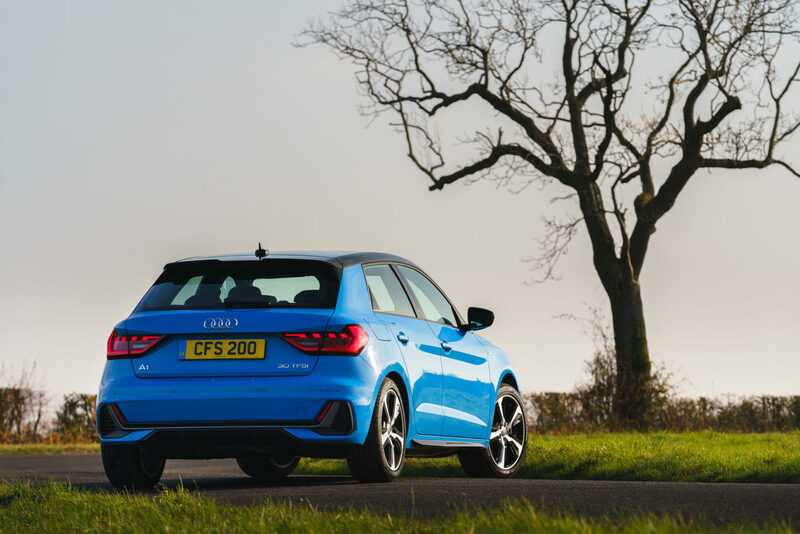 The Audi A1 sits on Volkswagen’s latest MQB platform – the same as you’ll find underpinning the Volkswagen Polo – and this means that it’s longer than the car it replaces. 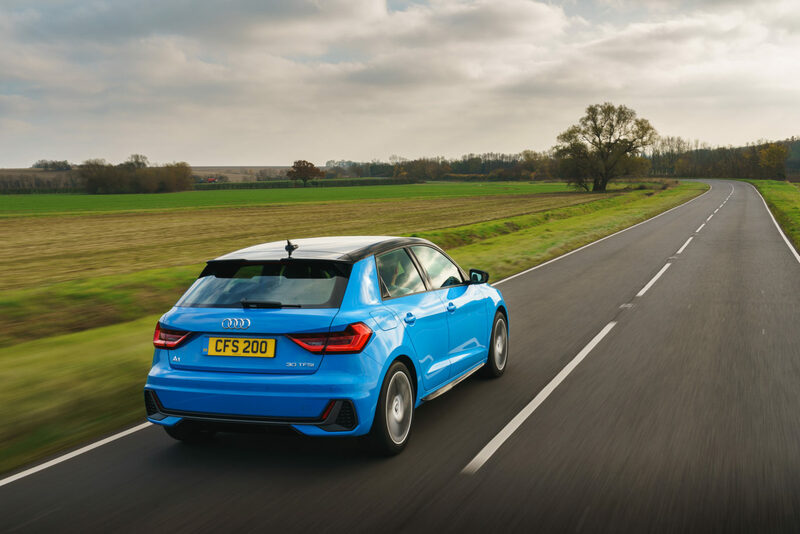 Greater practicality is the name of the game, after all, and this length means that the A1 can offer better occupant legroom as well as improved boot space. The A1 range also benefits from a series of turbocharged petrol engines (there are no diesels) driving the front wheels alone. No go-faster version S1 version has been announced just yet, but we’d expect this to be just around the corner. Powering our test car is a 1.0-litre turbocharged three-cylinder petrol engine with 114bhp. Confusingly this model is badged ‘30’, which seemingly has no relevance to either the size of the engine nor its output. However, the unit does offer 200Nm of torque, and here drives the front wheels through a six-speed manual gearbox. 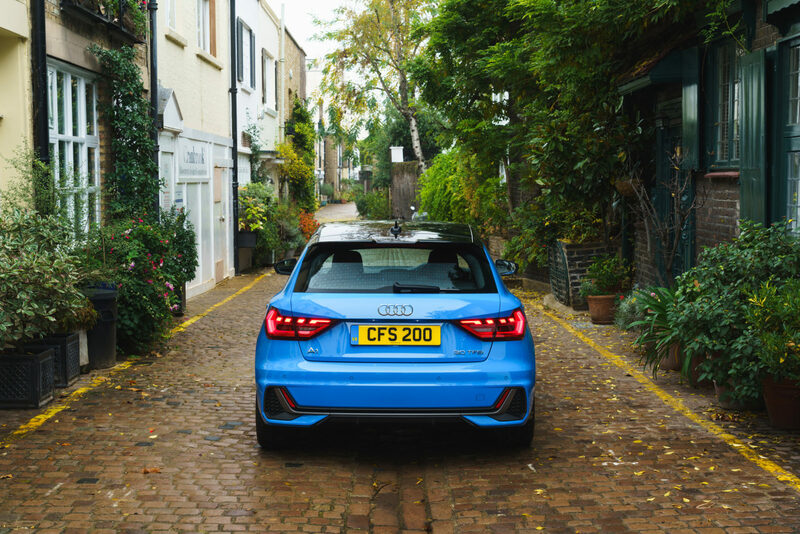 Despite its compact size, the engine does a good job of powering the A1 up to a decent lick in a respectable time – Audi claims 0-60mph in 9.5 seconds and a top speed of 126mph. It’s economical, too. Fuel consumption sits at a claimed 58.9mpg combined, while CO2 emissions of 111g/km are decent for this type of vehicle, too. Given its small size, the A1 manages to drive like a far bigger car than it actually is. The refinement levels it offers are superb, and this is no doubt down to our test car’s relatively small 16-inch alloy wheels. Too frequently do we criticise a vehicle’s large wheels for spoiling its ride quality, but this isn’t the case for ‘our’ A1. It rides superbly on most surfaces, with only the very worst roads sending shockwaves through to the cabin. It makes it very relaxing to drive over long distances, and quiet too. The engine affords more than enough punch for the job in hand as well. Instances such as merging on to a motorway (traditionally a supermini’s weak spot) are undertaken with little fuss, the three-cylinder merrily buzzing away under acceleration. Once up to speed, it quietens down well, however. The new A1’s styling represents a big leap over the look of the old car, but it’s still retains that model’s dinky proportions. 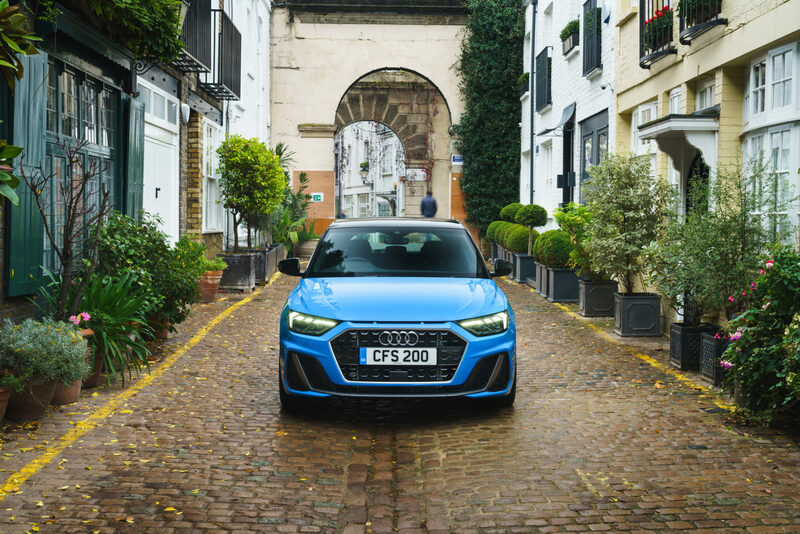 It’s more in keeping with the rest of Audi range in terms of design, that’s for sure – the big grille is hard to miss, just as it is on other models in the German firm’s current suite of offerings. It’s more aggressive than before, with a variety of grilles and inlets giving the A1 a chunkier, more in-your-face appearance. The rear of the car is a little more related to the old A1, but it’s still fresh in its design. It’s the cabin which feels the most premium. Soft-touch materials have been used across the dash, although some hard plastics remain on the doors and centre console. The ambiance is elevated by the large central infotainment screen which dominates the interior. The seats are wide and comfortable, and there’s a reasonable amount of space in the back too – particularly when you consider the car’s compact footprint. There’s even room for three people in the rearmost seats (most cars in this segment cater for just two), though it will be a little bit of a squeeze for adults. In terms of boot space, there’s 335 litres to play with, and thanks to a square shape and large opening it’s easy to access. You can extend this even further by folding down the rear seats too. It makes the A1 far more practical than you’d expect. Our test car was finished in Sport trim, which sits one off the bottom above SE. It benefits from the previously mentioned 16-inch alloy wheels, along with sports seats, cruise control and a full sport exterior styling package. You also get full LED headlights, which really are a plus – they provide a huge amount of illumination. 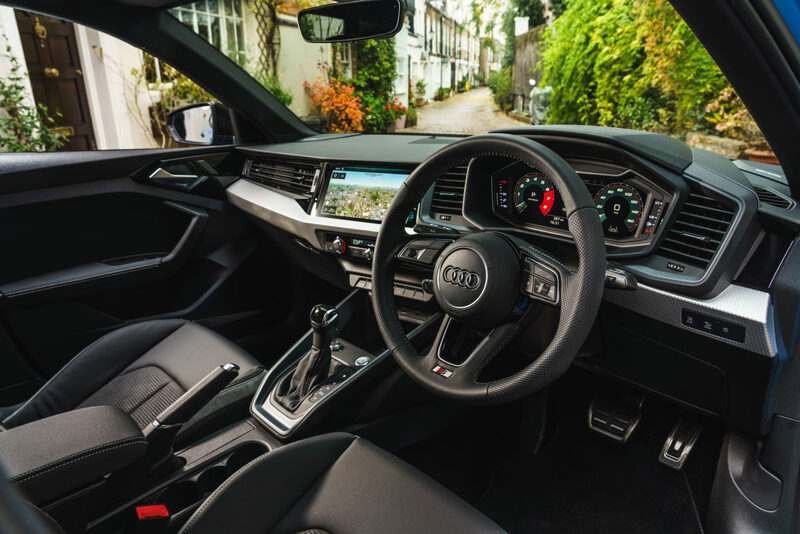 Also included is Audi’s excellent 10.25-inch digital cockpit display, which sits behind the steering wheel in place of the conventional dials. As we’ve seen in other Audi models, it’s a very intuitive system. As standard, Sport models don’t get navigation – you need to add the £1,650 ‘technology pack’ for this to be included. Adding this also puts wireless charging for mobile phones into the car too. With this added to our test car, along with a smattering of other options, the A1’s price bumped up to £24,000 – which in anyone’s money is quite a lot for a supermini, even if it is a premium one. 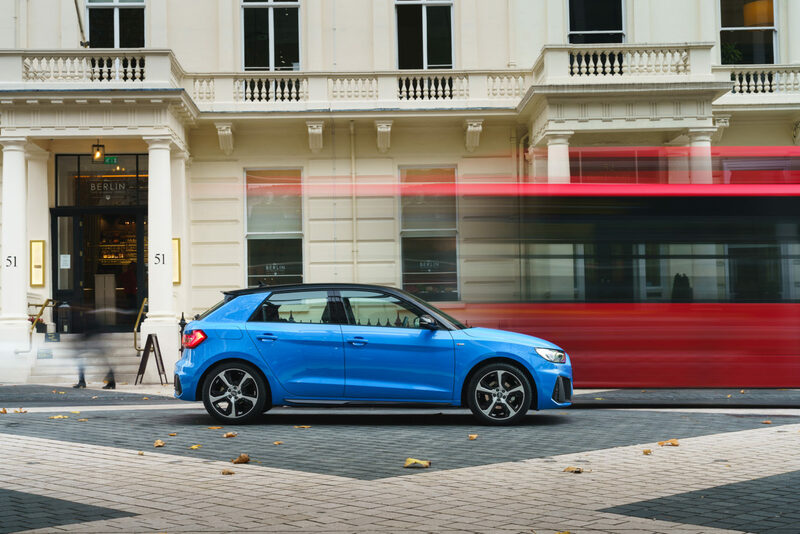 The Audi A1 is a supermini for all occasions. Thanks to its high refinement levels and impressive big-car handling characteristics, it isn’t just limited to the city – this is a car that will deal with longer trips just as easily as nipping in and out of urban traffic. Yes, it is expensive – but a decent level of standard equipment goes some way towards justifying the high price. It’ll be cheap to run too – which will help counteract some of the cost of purchasing it in the first place.